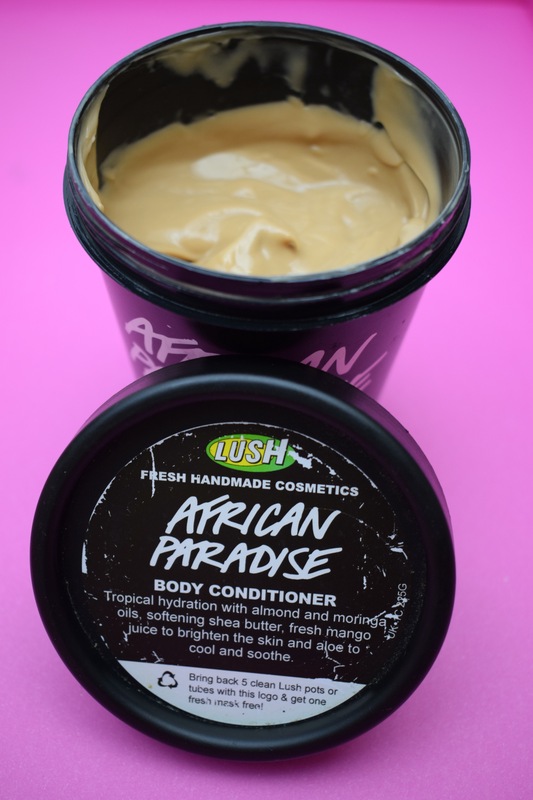 I am a huge fan of the Lush body conditioners. I am way to lazy to put on body lotion after a shower or bath, and as much a I say I will try my hardest to use them I just never do. Due to this I find my skin crying out for help, as it doesn’t get the added moisture it needs. The Lush body conditioners are therefore a miracle product for me, as using them means I can moisturise my body whilst I’m still in the shower. Which is the perfect for anyone lazy like me. The African Paradise body conditioner has a very unusual scent and one that I’m not 100% sure on. The scent is extremely sophisticated and is a mixture of sweet, spicy and floral. 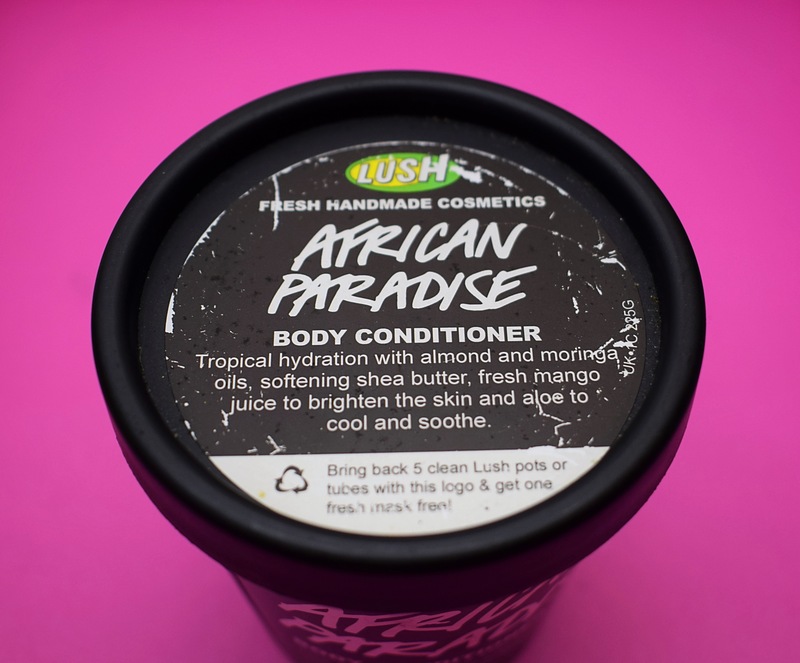 I personally pick up on the floral aspect of this body conditioner the most and as I’m not a huge floral fan I kind of wish this body conditioner had a bit more of fruity tropical aspect to it. To use the conditioner is very simple, all you need to do it put as thin layer onto your skin just before you get out the shower, massage it in then rise it off before you dry yourself. It basically is just like a conditioner you would use for your hair but for your body. 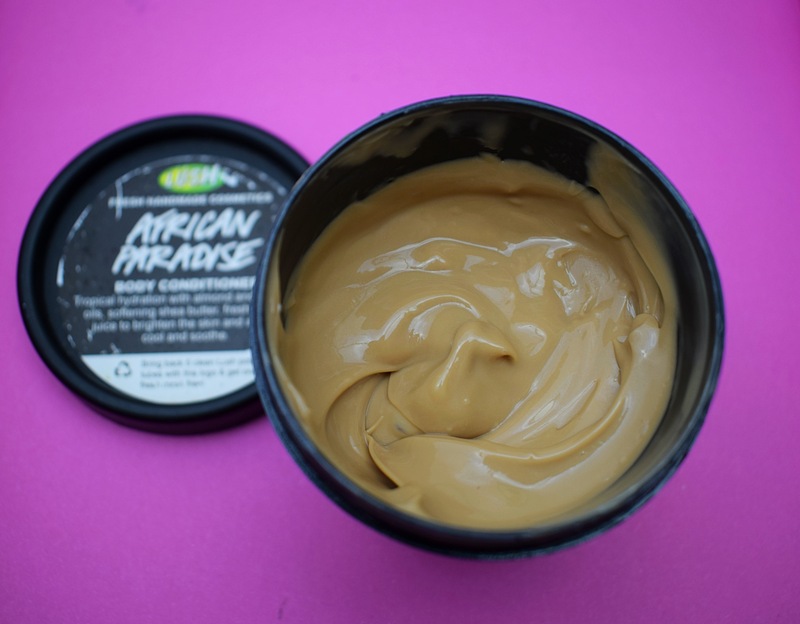 The African Paradise body conditioner is Jam packed with butters and oils to moisturise the skin, it also contains a good helping of mango juice which helps to brighten the skin and Aloe Vera to cool and sooth the skin. Overall although the scent isn’t my cup of tea I really enjoyed using this product. I love the concept of a body conditioner and found my skin felt very soft and extremely moisturised after use. This product is quite pricey so isn’t something I would use every day, but it is a great way of treating you skin when it’s in need of a little extra moisture. 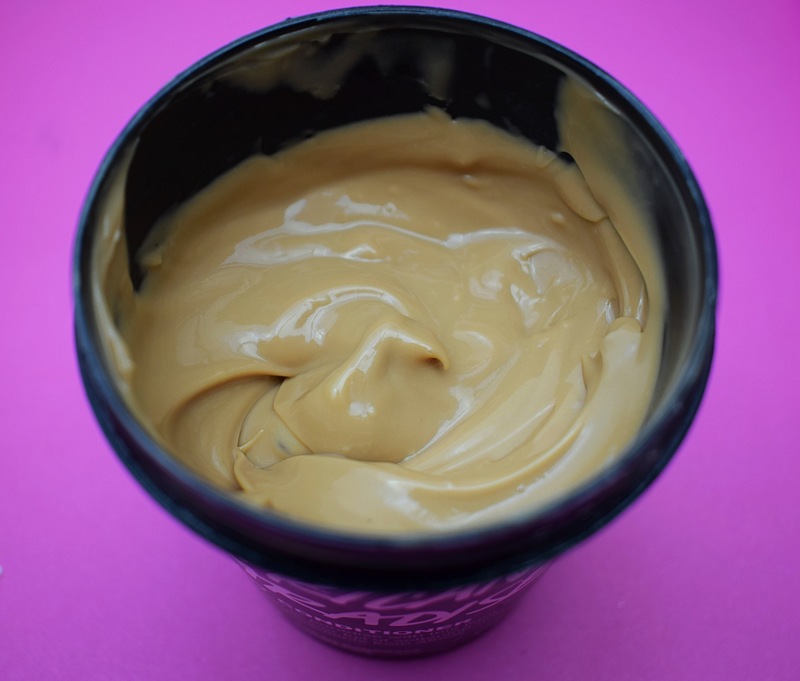 I did also find that the product does take quite a while to absorb into the skin, so you are left feeling a little greasy when it is first applied.